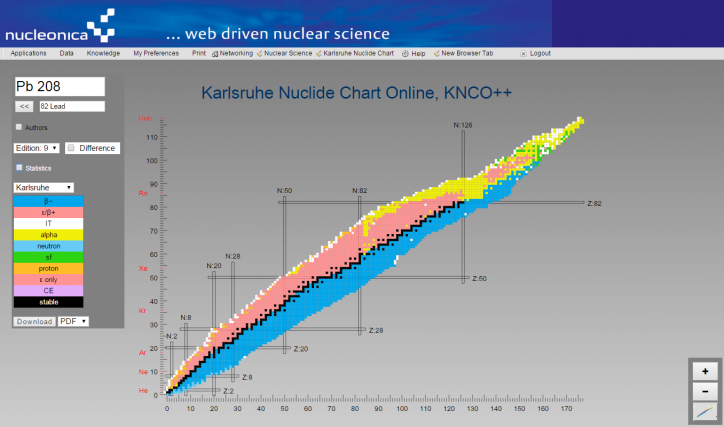 A completely new version of the Karlsruhe Nuclide Chart Online, KNCO++ has been developed and implemented into Nucleonica (see image below). – The main user interface has been re-designed to provide access to a greater usable area of the nuclide chart and more intuitive use. – It is no longer required to install the Microsoft Silverlight plugin. – The new version of the KNCO++ has been tested on Firefox, Chrome and Internet Explorer browsers. We strongly advise using Firefox or Chrome to view this Chart. The Fission Yields application allows the user to investigate fission products and yields from a variety of fission parents (fissioning systems). Depending on the library (JEFF, ENDF, JENDL), the type of fission (spontaneous, thermal, fast, high energy) and various filters (e.g. half-life), the application lists the fission products and their their yields (independent and cumulative). – for fission systems containing many components, a new paging feature allows the user to see details of all fission product yields. – additional mass chain yields can be shown in the same graph. 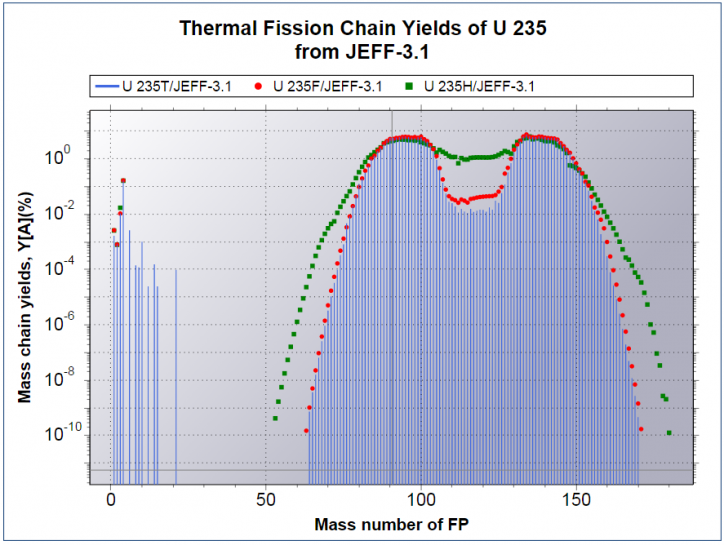 This allows the user to compare yields, for example, for fission by thermal, fast and high energy neutrons (see graph above). – fission yields, for a particular fission product, resulting from different fission parents, neutron energies, and libraries can be compared directly. – for the selected primary fission product of interest, all possible fission reactions giving rise to this product are listed.